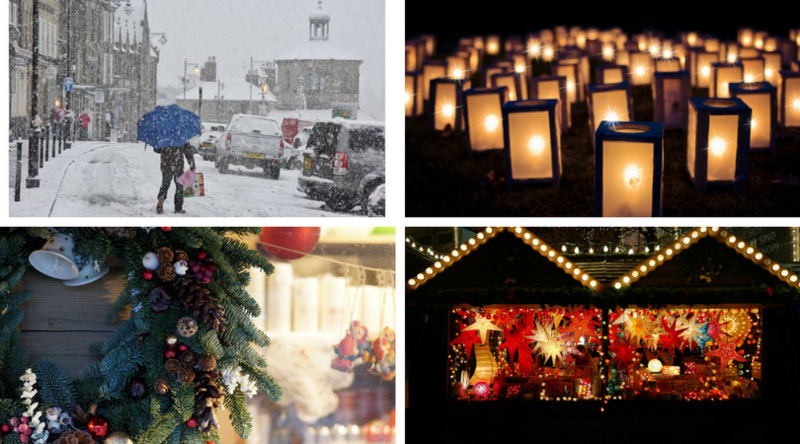 Get your Christmas shopping all wrapped up with over 30 Christmas Markets and Fairs across North East England that have FREE entry for all this festive season. Starting this weekend this includes events in Northumberland, Newcastle, Gateshead, South Shields, Sunderland, Middlesbrough and Durham plus many more ... so there are plenty of places to go to find that special gift this Christmas between now and the end of the year. A stunning Winter Market with over 100 spectacular stalls on both floors of the Lancastrian Suite in Dunston, fairground rides, live entertainment, food and drink and much more. Brockbushes Farm Shop and Tea Room is holding its famous Christmas Fayre. At the fayre there will be an extensive and exclusive range of Christmas gift ideas, toys, decorations and confectionary. The food marquee holds all of our suppliers who will be on hand to taste and sample their product’s, there will also be a range of cheese, wine, sausages, chocolate, jams and preserves, smoked fish and lots of other goodies to tantalize your taste buds! Once you have trawled through the delights of the food marquee you can move into the enormous gift and craft marquees which are full of exclusive and unusual gifts including wood products, candles, clothing, tableware, soaps, jewellery and much, much more. It’s an ideal place to find your Christmas gifts! The catering facilities also include an extra marquee providing snacks and beverages throughout the day while the main tea room will be providing a delicious range of homemade food straight from the farm kitchen. NEW for 2017 for the children a Toyset Carousel Fun Fair ride. Teesdale Christmas Art Fair is a large, group exhibition of carefully selected art work by artists from across the region whose work will be displayed in exhibition spaces throughout The Witham. The exhibition comprises original works of art spanning fine art painting, drawing, sculpture, textile art, and limited edition prints in addition to applied art that will be on display and available to buy in the Shop at The Witham. A range of local food and craft stalls. Stalls will be in our indoor marquee. Bring your children along. Kirkharle Courtyard has a small play area, lakeside walk as well at the resident courtyard shops. Set against the picturesque backdrop of Auckland Castle, more than 40 local food producers and artisan craftspeople will be laying out their stalls as the formal garden is transformed into a festive shopper’s haven. Browse the large range of unique gifts and speciality goods at our three-day Christmas Food and Craft Market, featuring stalls from a host of local food producers and artisan craftspeople. Embrace the Christmas spirit with carols, mulled wine and fun family activities all weekend. Treat yourself to a plethora of inspiring and unique presents and speciality foods from sweets and seasonal gingerbread to handmade chocolates, jewellery, glassware, ceramics and decorations. A great selection of stalls to browse at Vallum Farm, with warming and hearty street food and mulled wine to enjoy, kids activities and of course, Santa in his Grotto. Fun for all the family and the best way to do your Christmas shopping! Join them for the Christmas Craft Market where they will have beautiful crafts & delicious food with both indoor and outdoor stalls to kick start the festive season. There will be entertainment by way of traditional folks singers and costumed characters to keep everyone entertained. The centre boasts gift shops, workshops & a cafe. Souter's ever-popular Christmas Craft Fair offers an altogether more relaxed way of shopping while avoiding the hassle of the High Street. Browse hand-made crafts, gifts, cards, jewellery and much more. When it's time to take a break from shopping, indulge in seasonal treats in the Lighthouse Cafe. Join The Sill for their first Christmas Fair. It's a great way to pick out some handcrafted Christmas presents made in the North East. They’ll have entertainment for all the family and fantastic festive food in the Sill cafe. Why not pick up some beautiful Northumberland Tartan gifts, some sculpture from The Artful Robin or a bottle of Hepple Gin with botanicals from the Northumberland National Park. At the fourth annual Christmas Market there will be a range of stalls selling festive gifts, treats and stocking fillers. Santa will be available throughout the day in his sleigh for children to visit - £3.00 per child which includes reindeer dust and a gift. Bar 22 will be open for sweets, drinks and hot snacks. Fill your Christmas stockings at the new Winter Lights Market and support local businesses and artists. With handmade gifts, crafts, prints, festive treats and more, we've got Christmas all wrapped up for you at South Shields Market Square. This new market takes place alongside the Christmas Lights Switch On so guarantees to be a brilliant night for all the family! New for 2017, get together with friends and family to find that perfect gift for a loved one and join in the festive fun! Now in its 9th year, is firmly fixed within the Tynedale social calendar with over 125 stands of arts, crafts, gifts and food will take every available space throughout the Leisure Centre and the indoor marquee, to ensure some fabulous Christmas shopping. A great day out with lots to see and refreshments provided all weekend by Active Northumberland. Due to popular demand the Christmas market will return this winter outside on the Plaza at Discovery Museum. This year it will be themed around The Nutcracker. Browse and buy from a range of heritage & innovative crafts, art, food and gifts, whilst enjoying some festive entertainment. On Saturday we'll be joined by The 68th (Durham) Regiment Light Infantry 1814 Re-enactment group, with music from the Salvation Army Band, between 11am and 12.30pm. As well as the chance to meet Santa's Reindeers. On Sunday Heaton Voices Choir will be entertaining the shoppers at 12pm & 13.30pm. The Christmas Fair at Haven Point just gets bigger and better every year and is fast becoming one of the best in the whole of the North East! With over 50 stalls selling beautiful arts and crafts, jewellery, trinkets, decorations and unique festive food, this is the perfect place to pick up a fantastic selection of presents! It's a great opportunity to pick up a gift or a nice treat for yourself, while at the same time you are able to support some of our most talented craftspeople and traders from around the area. For the 6th Annual Christmas Fair at The Tyne Bar in the Ouseburn Valley, there will be a day of entertainment to be held outside in the sheltered beer garden under Glasshouse Bridge. There will be festive music, approx. 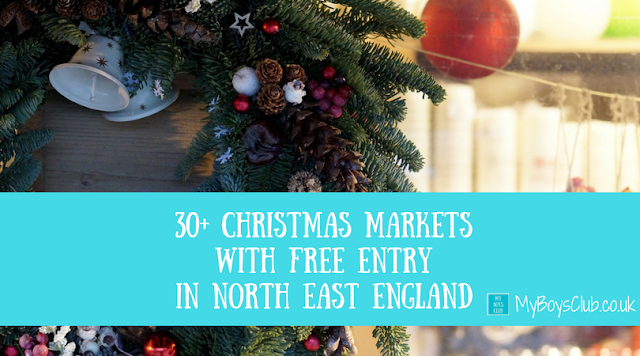 15-20 unique crafts and gift stalls, mulled wine and ciders, and yummy Christmassy treats from various pop-up food stalls and The Tyne Bar kitchen! 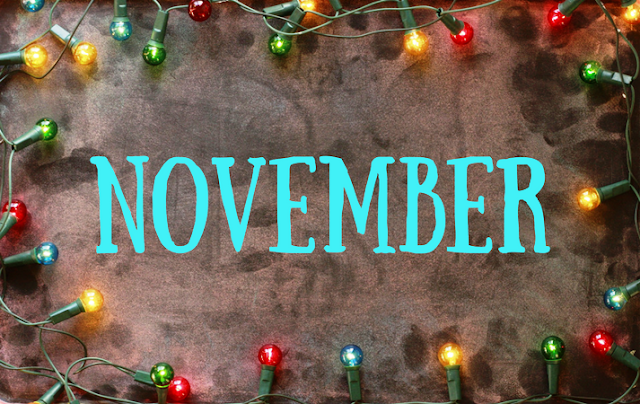 As well as the gift stalls, there will be several food traders like "Northumberland Soup Co", "The Travelling Bee Co", and "The Northumberland Cheese Company" and a gourmet chocolate drinks menu. We will be doing much of the food from the Tyne Bar kitchen, which will include gourmet pies. We also have chefs Stephan and Sophie from The Tower Cafe cooking their fantastic pizzas from their own wood burning pizza oven. A beautiful location for a Christmas Market in the heart of Sunderland City Centre, hosted by Bethany City Church. This will be a lovely place to visit and have a browse to start your Christmas shopping whilst also having the opportunity to have some delicious food and hot drinks amongst all the shopping! Mini-carol services will also be happening throughout the event with live music, this will be an opportunity for you to spend some time out from all of the build-up to Christmas. The renowned Christmas tree sales in the Land of Oak and Iron, bring a wide selection of fantastic quality British-grown trees to the Wood. The atmosphere is magical and buying your real tree from Chopwell will help protect the Wood. Come along to Keeper's Cafe for a Christmas Market, our gift and gallery will be full of Christmas goodies we will also be joined by a selection of local businesses to offer you the perfect Christmas shopping experience (we hope!!) A perfect way to start the Christmas shopping, combined with Keeper's handmade cakes and delicious hot drinks, what better way to spend a Sunday. This annual event, which takes place inside the beautiful Lady Waterford Hall and outside under cover of a street marquee, grows in popularity each year. With over 50 stalls selling a huge range of goods - from artisan bread to holly wreaths, seasonal cakes and bakes to hand-made knitwear, and some exclusive 'not available on the high street' items too. With such a variety of local crafts, foods and gifts there will be plenty to choose from when selecting your Christmas gifts. Plenty for the kids with a carousel ride plus Santa and his 'reindeer' Merlin, arriving at 12 noon. Over 100 festive craft and gift stalls, artisan food, street food, entertainment, choir singing carols, nativity petting zoo, magician, Santa's grotto, children's activities, street food from all over the world, roast horse chestnuts, Scottish Piper and more. Based around the Cathedral and Castle, as well as other city centre locations, Durham City’s Traditional Christmas Festival provides excellent Christmas shopping opportunities alongside festive entertainment. The Craft and Gift Marquee on Palace Green will feature over 190 stalls, while 30 regional food and drink producers will be in the Cloisters of Durham Cathedral. There will also be outdoor markets in Durham Market Place, and Millennium Place, and more than 50 more traders in Durham’s Market Hall. Enjoy the local producers market in the Cathedral Cloister with a range of delicious breads, pies, cheese, hams, pickles, jams, cakes, sweets, chocolates and desserts – plus various hand-made crafts, candles, jewellery, gifts and much more! Join in the Carols for All Services over the weekend or an evening concert with Christmas with Durham Cathedral Choir, bookings essential. Or simply get away from the bustle and view the magnificent collections of treasures in the Open Treasure exhibition spaces within the monastic Claustral buildings as part of your visit to the Cathedral. Santa will be joining the renowned Christmas tree sales in the Land of Oak and Iron, with crafts and refreshments too. Enjoy the festive ambience of Christmas in the Coach Yard at Raby Castle. Illuminated trees will greet you in the grounds, along with the smell of mulled wine and real Christmas trees in the Coach Yard. Find beautiful presents in the Gift Shop and enjoy a festive treat in the Tearooms. Raby Christmas Trees - Get into the Christmas spirit by choosing from hundreds of real Christmas trees grown locally on the Raby Estate. All lined up in the Coach Yard ready for you to pick and take home. We grow mainly Nordman Fir and Norway Spruce trees on the Raby Estate, a selection of hand-made wreaths and foliage will also be available. Join us in our Christmas Coachyard with a hand-picked selection of stalls offering food and drink ideas from around the region. Woodhorn's annual Winter Market takes place in their beautiful Workshop Galleries. The Market features a fabulous selection of gifts, food and produce from some of the region's finest makers, crafters and producers. Please note: Entry to the Winter Market and Museum is free, on site parking is £3.50 per vehicle. The weekend will also include the Pityard Skating Rink and Father Christmas Stable Grotto but additional charge and booking procedures apply for these activities. If you know of any other free Christmas markets and fairs please add them to the comments. All event details are subject to change please do check with event organisers. 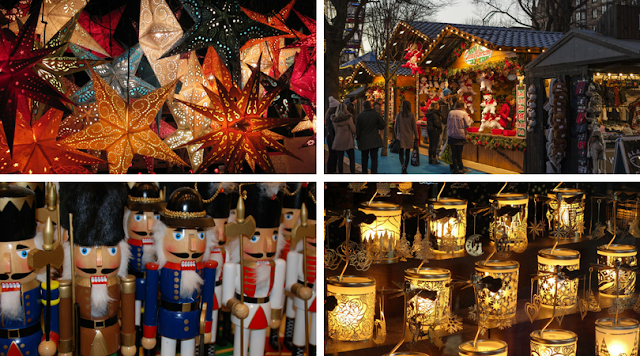 If you are lookig further afield here are some of the best Xmas markets for children in the uk. Where will you be buying your Christmas gifts this year?